Our Tuscany Candle™ warmer and wax melts provide a solid alternative for the style conscious consumer who wants a safe alternative to candles. Our decorative designs strike the perfect balance of affordability and artistry while offering a dynamic variety of colors and fragrances to suit any demographics. 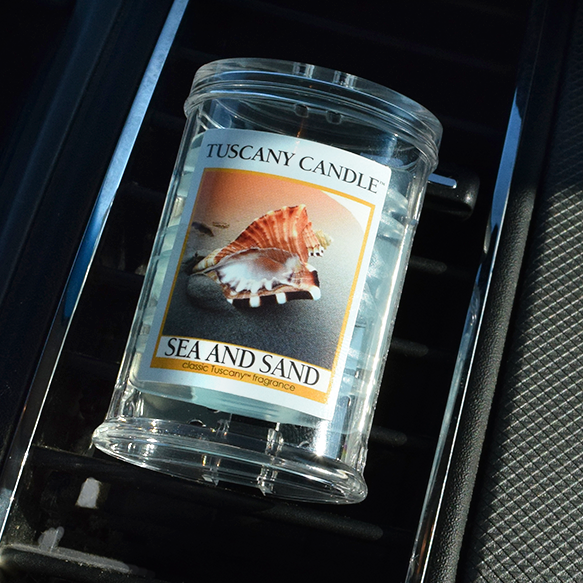 Tuscany Candle™ car fresheners are an ideal odor neutralizer for small spaces in the car, home, boats, campers, closets, lockers, and more. With consistent release of aroma, you can enjoy our top-selling fragrances worry-free. Featuring a solid polymer material that will never leak, leach, drip or melt, our car fresheners provide a mess-free fragrance alternative that lasts for up to 30 days.